Watch the actual episode from the series „Berlin – Tag & Nacht“ and stay in contact with the show events on your Smartphone. 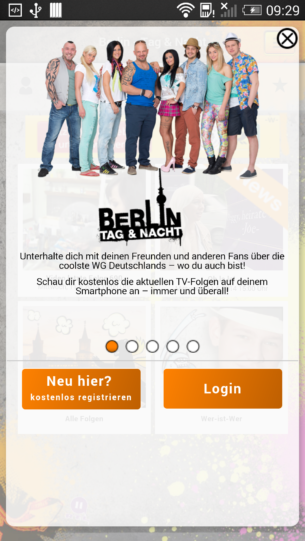 Watch the series „Berlin – Tag & Nacht“ in TV and use the app as a second screen to chat about the episode you are watching. Find friends inside of the app. 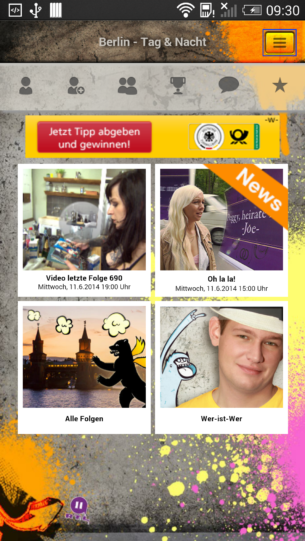 Check all the news around the series „Berlin – Tag & Nacht“. Be involved and assign stars, your opinion does matter! Win trophies and receive exclusive gifts. Who is who, check the profile of your heroes! 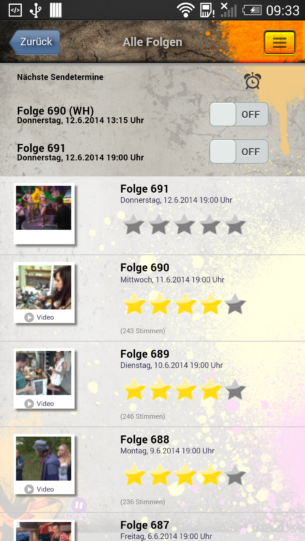 Reminder functionality to stay in touch with the next episode.